Shamrock I as seen from Columbia. It is possible that this remarkable picture was taken by Mrs CO Iselin who was present in the afterguard of Columbia as time-keeper. 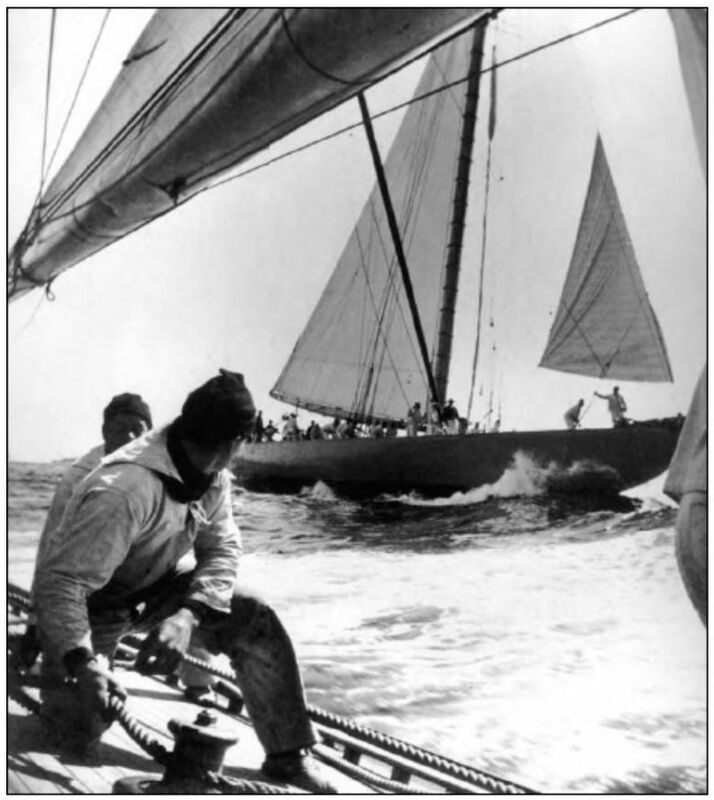 It shows Shamrock I in the process of hoisting her spinnaker pole and a Columbia crewman, with an eye on the British yacht, ready to winch in a sheet.